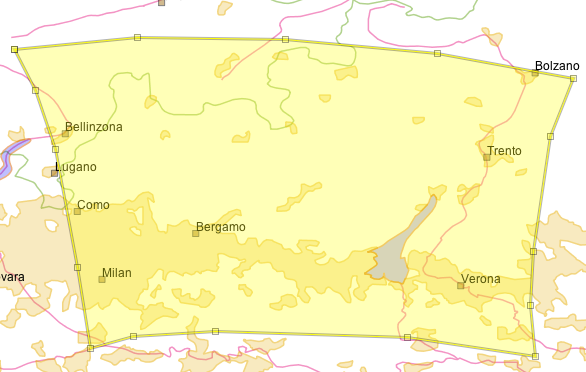 GeoTools makes use of the gt-opengis Filter and Expression interfaces in order to express constraints. This is most often used when making a Query to retrieve specific Features from a DataStore. FilterFactory directly create a filter - according to the limitations of the standard standard. Use this if you are making a request of an external Web Feature Server and do not want to accidentally step out of bounds. FilterFactory2 directly create a filter. Has some additional methods for working with JTS Geometry. If you look in the advanced guide you can find out about PropertyAccessors which is how Filter learns how to access new content. You can teach GeoTools how to work with your domain objects by implementing a custom Property Accessor. Using this facility GeoTools users have used filters with Java Beans, Maps and Collections and featureTypes. Often an application will want to remember the Feature that a user was working with for later. This section shows a couple of approaches to recording what Features a user has “selected”. Each Feature has a FeatureID; you can use these FeatureIDs to request the feature again later. Keeping a Set<String> of feature ids is the best way to handle selection. Using an Id filter as shown above is often very fast. 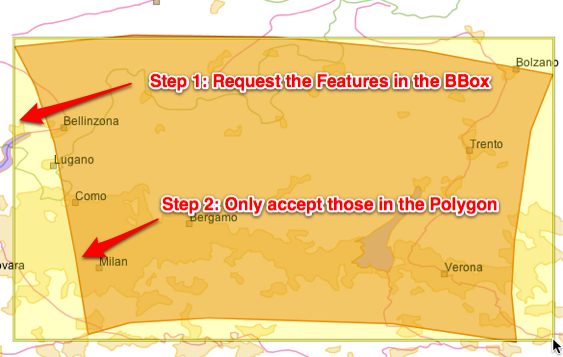 If you have a Set<String> of “names” which you would like to query from PostGIS. In this case we are doing a check for an attribute called “Name”. You may want to experiment with the option to ignore case. Often your users start by selecting on something with a click. Translating that to a BoundingBox, and then into a query is a little involved. As you can see we had to sort out what the attribute name of the default geometry was in order to make the correct query. Q: What features are on the screen? One quick way to handle this is to treat the screen as a BBox and make a request for the contents. The other way is to constructing a more exact polygon that follows the shape of your screen when transformed into your data’s coordinate reference system. You can go faster by using both techniques, the bounds check will cut down on most of the features right away; and the more expensive Polygon for the final check. Q: What did I click on? // coordinate reference system of our map content. 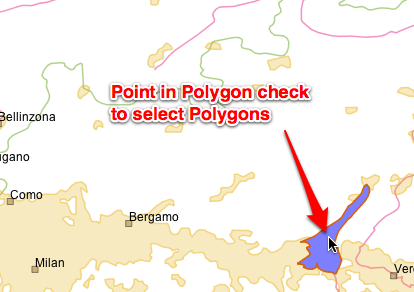 You can turn the tables around when selecting polygons, and issue your query using a single point - and check what polygon(s) contain the point. Another common approach is to call geometry.buffer( distance ) and then select with the resulting polygon. Please consider making your request with a distance check instead. This technique also benefits from adding a BBox check in front. We can go through the same steps to create an expression. limitations of the standard standard. Function is a little special as it is your chance to add new functions to the system. 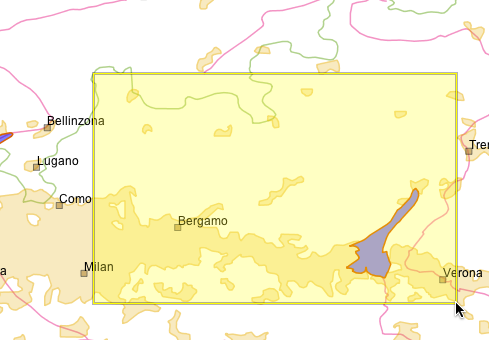 If you are interested in implementing a function and registering it with GeoTools is the example used to explain the GeoTools plugin system. You can directly create a Function with a FunctionFinder; this gives you access to the actual implementing class; which occasionally offer more options that are accessible through filter factory. Internally FunctionFinder uses CommonFactoryFinder to retrieve a list of FunctionFactory instances that are available on the CLASSPATH. The FilterVisitor interface allows you to smoothly interact and ask questions about a filter or create a slightly modified copy. You will find many of these examples also implement ExpressionVisitor in order to visit the Expressions making up the Filter. The practice of using a visitor to ask questions about; or return a modified copy of an immutable data structure is common; you will see this practice repeated when working with StyleVisitors (Style objects contain both Filters and Expressions). The GeoTools library includes a number of ready to use FilterVisitors. DefaultFilterVisitor does absolutely nothing; and is thus a great place to start from when making your own visitor. Q: What is the set of FeatureIDs being used? For each Id filter we are recording some information, the result of which is returned. Q: What are all the PropertyNames used? While this example looks simple it is often used to check a Filter (to check for XPath expressions) before turning a Filter into SQL. A FilterCapabilities data structure contains the list of supported functions and for a Web Feature Server (and eventually for other DataStores). You can use the following code example example to check if a filter is supported. You can use optimisations like this to evaluate as much as a statement as possible before turning it into SQL. As static filter contains no “propertyName” elements; and will evaluate to the same answer regardless of the feature, java bean or metadata entry it is being used on. There is a small utility class Filters that packages up some common Filter operations. Used to adapt a GeoTools 2.2 FilterVisitor to what we use today. The major additions are allowing for Filter.INCLUDES and Filter.EXCLUDES as “visitable” targets. Methods use to query the structure of the provided Filter. Internally these usually use a FilterVisitor to transerse the provided Filter to determine the answer. Query methods regard “children” only apply to filters and, or and not which are used to combine the results of several filters. Used to combine two filters; will sensibly “append” filters onto an existing and or or filter. The result is a new filter combining the two filters as requested. 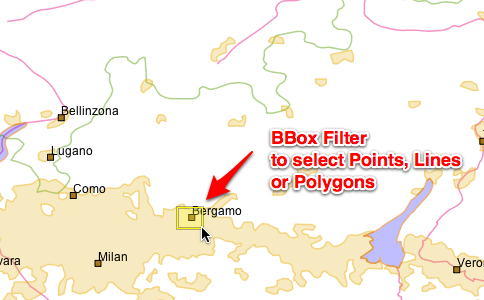 Tip: Used to update GeoTools 2.2 code where Filter was mutable. Used to seperate out a child from the provided filter. Much like and and or above these methods return a modified filter. You can also use the FilterFactory to fill in a filter capabilities data structure describing the abilities of a web or database service. However we also have a Capabilities user class which is helpful both in acting as a “builder” when creating a FilterCapabilities data structure; and also in making use of the result.